Liczba stron: 765 Jest to ujednolicona liczba stron, która ułatwi Ci porównanie długości książek. Każda strona Legimi to 200 słów. 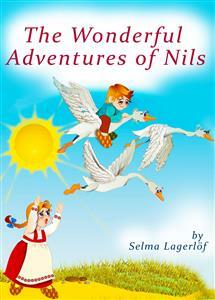 Join Nils flying on the back of a goose all over Sweden! See the world like you've never seen it before! "I love it. A great classic for adults and children! ""A lovely classic book that brings back lots of childhood memories! "• Illustrated edition• Including an interactive table of contents• Truly a classic and a highly moralistic piece!